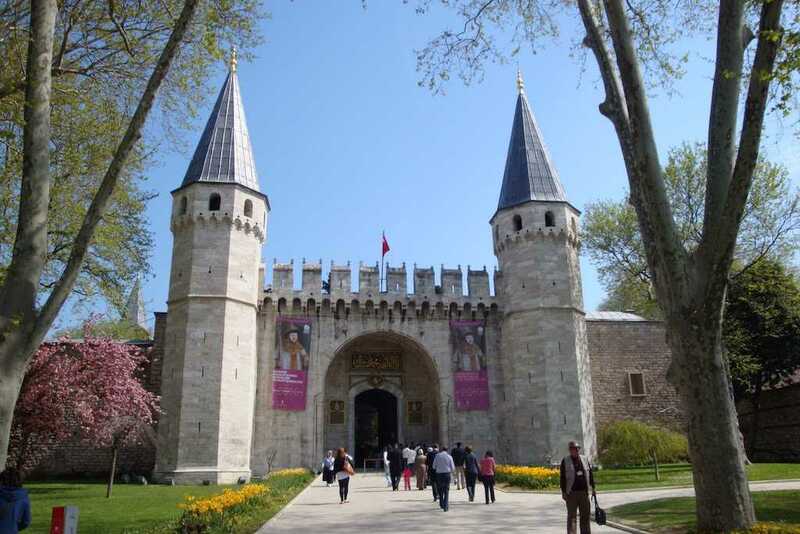 Topkapı palace is a central place located in all the Ottoman sultans’ time until the reign of Abdulmecid I (1839-1860), a period of nearly four centuries. It is the largest and oldest palace in the world to survive to our day. 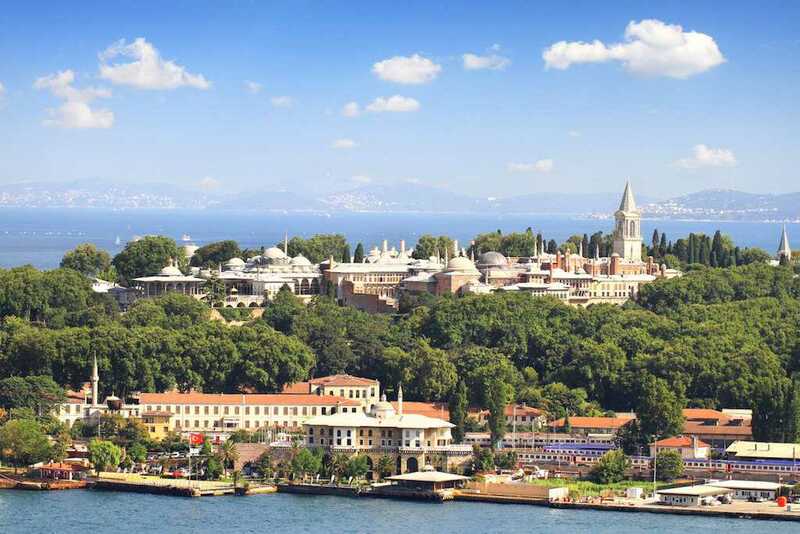 After the conquest of the city in 1453, the young Sultan Mehmet moved the capital of the empire to Istanbul .He was settled in the middle of the town and built Topkapı Palace which is well known as a traditional example of Turkish Palace structure. 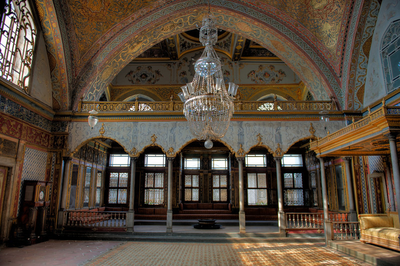 When it was used as a palace, it served more functions than one ,generally associates with royal house. Although it was the house of the Sultan, the only ruler of the empire, it was at the same time the center of the administrative affairs, the place where the council of ministers met, and the treasury, mint, and state archives were located there .It is situated on the acropolis, the site of the first settlement in Istanbul, it shows an impressive view of the Golden Horn, the Bosphorus and the Sea of Marmara. The palace is surrounded by 5 km of walls and occupied an area of 700,000 sq. m at the tip of the historical peninsula. It consists of three courtyard, each serving a different purpose. Therefore it was the heart, the brain, the very center of the Ottoman Empire.Later, the harem (private quarters) of the sultans was moved here too. 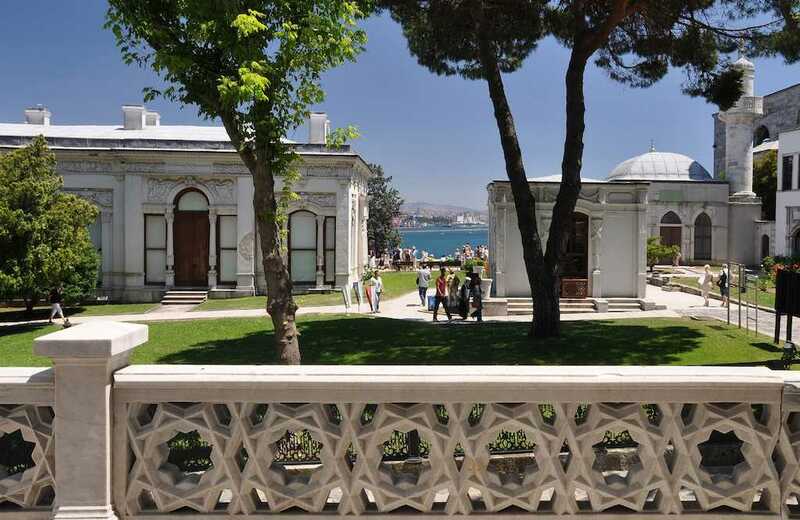 In 1924 it was turned into a museum at Ataturk's request. 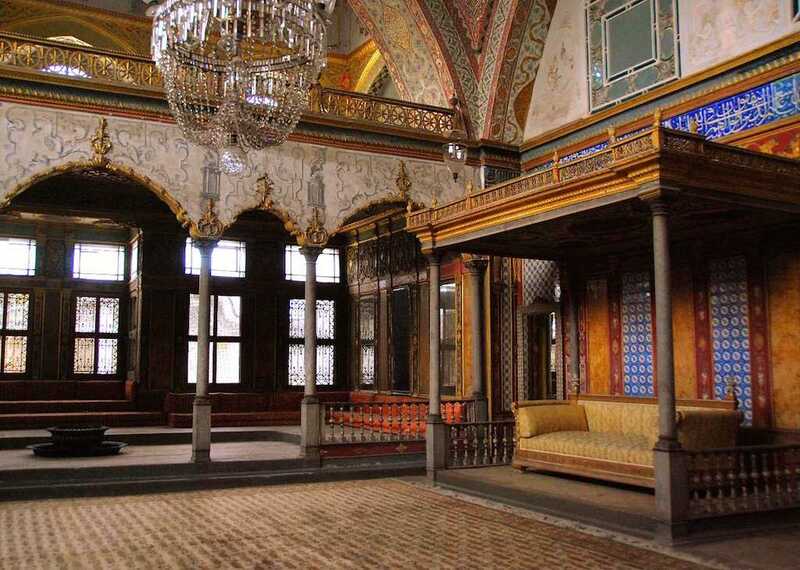 Diffrerent craftsmanship, tiles, architectural styles, jewellery (like known as a famous spoonmaker’s diamond) exhibited in Topkapı Palace reflect the wealth of Turkish art and mixture of the different countries culture. It was built by Fatih Sultan Mehmet who was popularly known as a conquerer İstanbul and it is the first one of the three doors. The citizen can use this door to come easily in to the first yard. There is an inscription dated 1478 over this door , which belongs to Ali bin Yahya Sofi, the one of the first penmen in the Ottoman Empire. 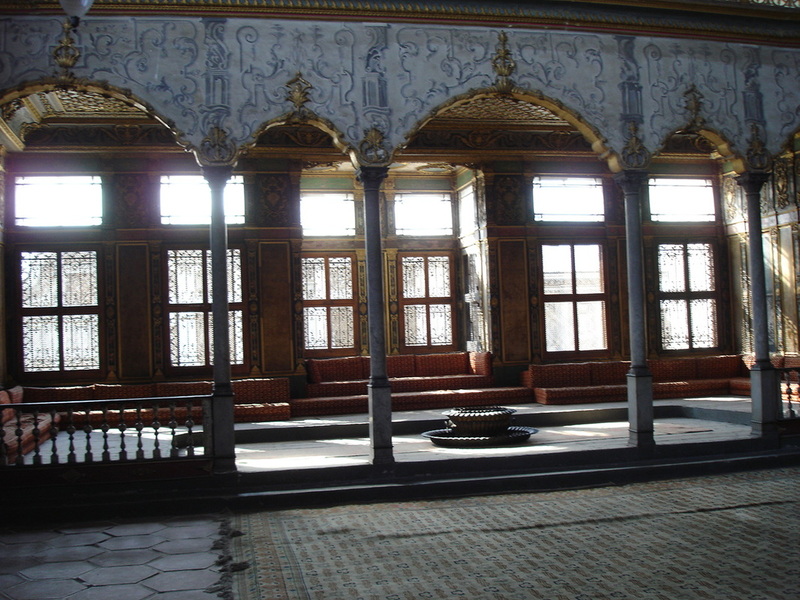 Sultan 2.Mahmut and Abdulaziz’s tughras demonstrate that Bab-I Humayun is repaired by them. The first courtyard is the only part open to the citizens.It is entered through the called Imperial Gate. Also it is the largest courtyard in the Palace. The monumental fountain seen outside the gate is a beautiful example of 18th century Turkish art. In this courtyard there are the palace bakery, the mint, the quarters of the palace guards, and the firewood depots. Tiled Pavilion and the Archeological Museum are in this courtyard, too. It is the main entrance of the palace, known as the Gate of Salutation. The second yard was well known as an administrative center of the state and the government. Therefore Only the sultans could enter this yard on horseback but sometimes the citizens being official business were allowed here. State ceremonies took place in this courtyard. The only tower in the palace is located here too. It was called "the Tower of Justice" because it was the trial place of the state court of justice. 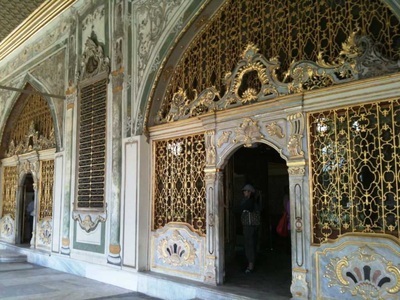 The fourth yard composed of a terrace popularly known as Sofa-I Humayun and Tulip Garden.Tulip Garden is surrounded by Sofa Mansion,Sofa-I Humayun Gardens,Sofa Mosque,Mecidiye Mansion and Clothes room. 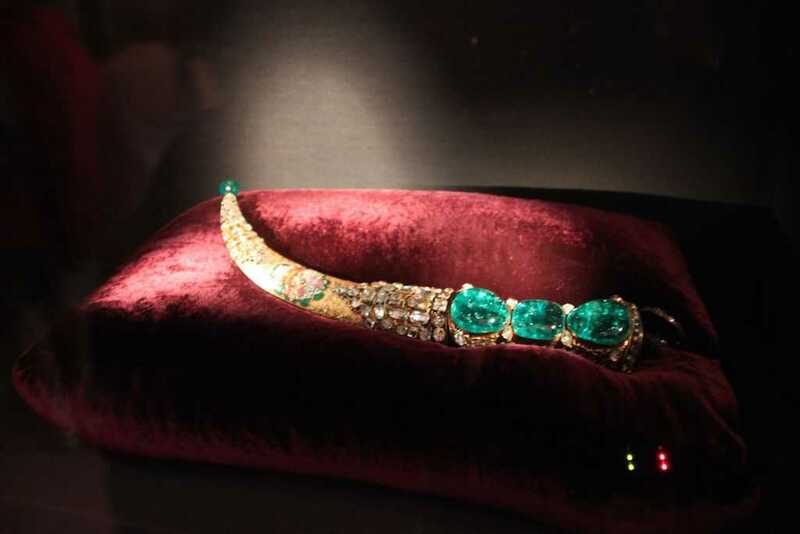 The treasury part of the Topkapı Palace Museum is the richest collection in the world because rather than the masterpices of Turkish art of the jewellery there is mixture of the other countries’art like Far East,The India and Europea . In this section, authentic and original pieces are displayed.It consists of four room and every room reflects different pieces. One of the most valuable pieces is Spoon Maker. 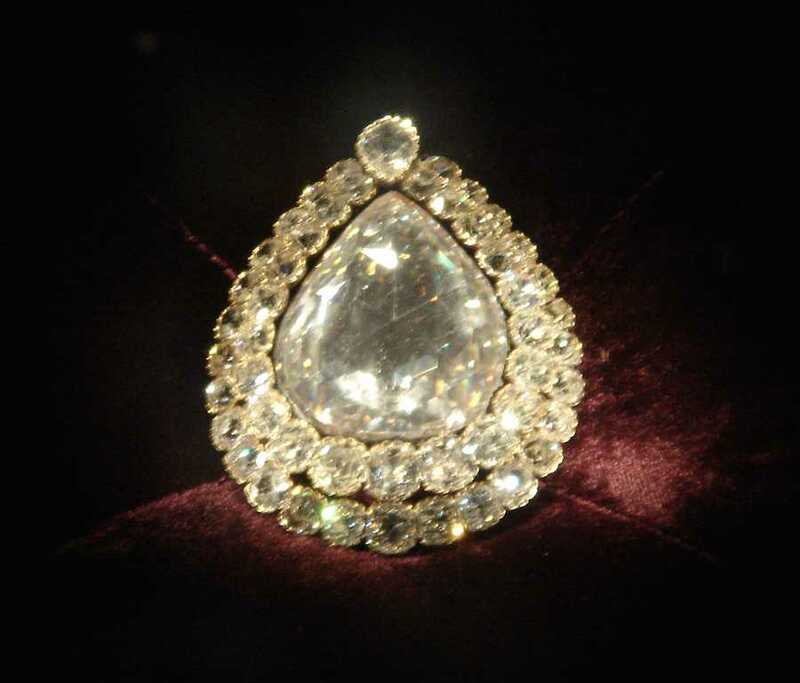 The 86-carat Spoon Maker's (or Pigot) Diamond, one of the most famous diamonds in the world, is also to be found here. Harem means ‘’forbidden area’’ in Arabic. It was a private place of sultan and of the other members of his family.Also the girls generally from outside came to the harem at very early age, they are educated and brought up under the strict conditions. The cleverest and finest girl selected for the sultan and she could rise the sultana. Therefore: It created a rivalry among them. 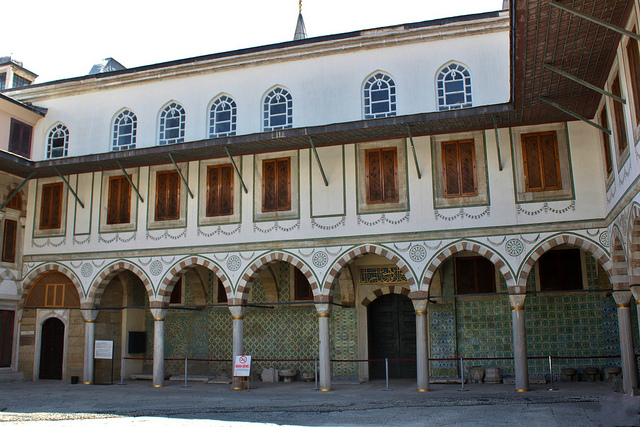 At the beginning, harem consisted of 400 rooms and it was built narrower but later it was altered and enlarged over the years. 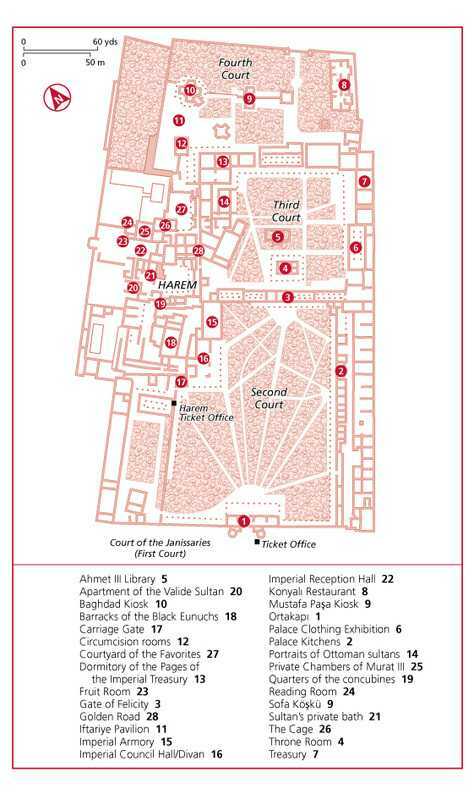 Only a section of the harem is open to the public. It is up to the imagination of the visitor to recreate the colorful and lively old days in these dim hallways and empty rooms. The state treasure was situated on next to the council of state.This eight-domed building today houses rich collection of old weapons in a modern exhibition. 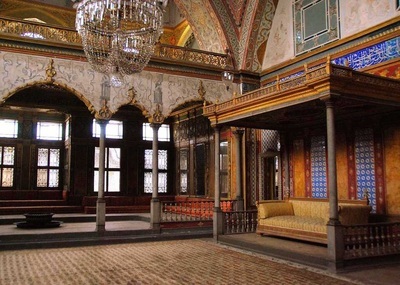 The weapons were used by the Ottoman Empire and they were located in armory. Within that armory, the weapons were protected and repaired. 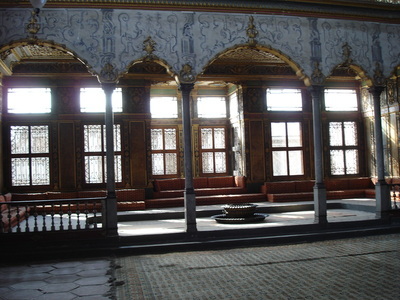 Besides the armor and weapons used by the sultans, those used by the members of the palace and the army is exhibited here along with weapons taken from other countries.Also there is taken place the part of the council of the state.The council was consisted of the viziers and secretaries, and the leader vizier authorized the meetings. The sultans did not join in the meetings, but could listen to the discussions about state matters from a high window in one of the walls. 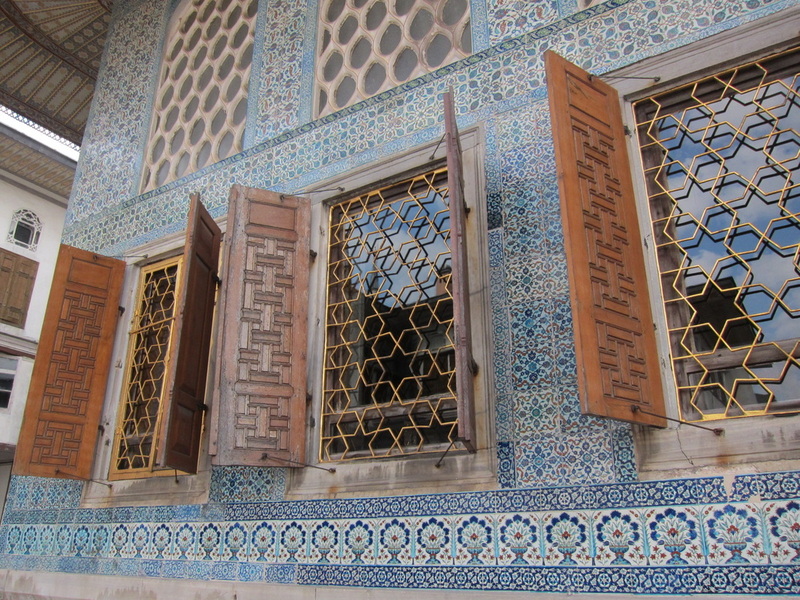 This window opened to the harem part and a curtain covered up it. Within this hall, it was given a feast for the foreign missions. 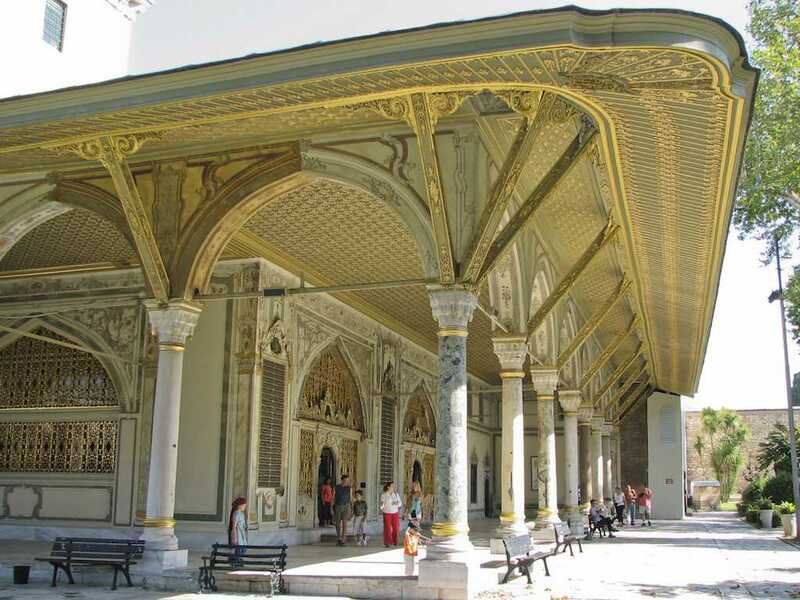 Unique collections of the sultans' wardrobes are exgibited in the section to the right of the courtyard.There are found 2,500 of handmade costumes made of fabric woven. Also they are preserved carefully in special chests since the 15th century. The section of the kitchen and the porcelain collection consist of the 2500 pieces of Chinese and Japanese porcelain. The part of the kitchen was used by over one thousand cooks and their assistants to prepare and serve meals for the various sections of the palace. One part of the kitchens have been protected as before but the others are exhibited to porcelain and glassware produced in Istanbul. The palace contains a total of 10.700 Chinese pieces, ranging from the late Sung (13th century) and the Yuan dynasties (1280-1368), through the Ming (1368-1644) to the Ch'ing period (1644-1912). A number of these are now on display in the Palace Kitchens. In the collection, there are up to 730 Japanese porcelains dating from 17-19th centuries. These are mainly Imari ware produced in and around Arita in southern Japan.